Lytt labs is the brainchild of two founders and friends who conceived the idea in 2014. The lead founder and CEO has years of manufacturing experience for the top global brands, bringing his exacting and demanding standards to Lytt Labs watches and expanding the group to include an international team of professionals. Unrestricted by the rules of classic watchmaking nor heritage, the founders set forth with a clear and simple vision - to provide a unique and forward-thinking approach to watchmaking, ensuring that each piece is both thought-provoking and a conversation starter. With corporate inspirations defined, the first series of design creations were heavily influenced by urban environments and architecture. Indeed the play of light across the various surfaces of the Inception is reflective of the company’s underlying philosophy. here to inspire and create, bent on disturbing the norm in the watch industry and show the world something ‘lytt’. 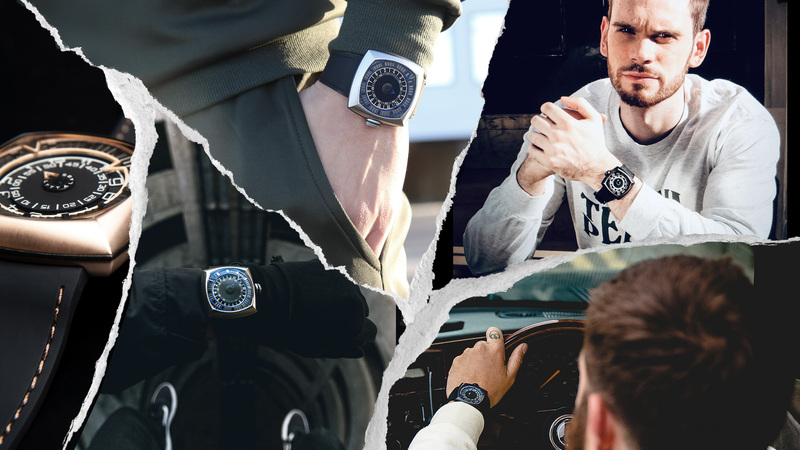 Lytt Labs broke into the industry in 2017 with the launch of the Inception V1.0 - a technical and vibrantly coloured timepiece with eye-catching details that gained immediate attention globally. In 2018, the Inception V1.1 was released with design enhancements to the brand font, hour and minute discs. The addition of luminescent paint to all significant areas of the dial (numbers, markings, logo branding and indicator arrows) further enhanced visibility in the dark, exuding a sci-fi edge. These deft yet restrained touches add a crisper, more elegant quality to the overall aesthetic of the V1.1, creating a truly stunning watch. We are not simply a company. We are a community; here to inspire, create, disturb the norm. In the course of changing the watch world, we discovered we could change the world with a new 'lytt' technology. Join the movement, follow us for the announcement of a groundbreaking new model soon. © 2019 Lytt Labs. All rights reserved.